Grip strength isn’t just important for a few niche athletes like powerlifters who rely on it to lift hundreds of pounds at a time. Grip strength is important for all of us, no matter what our age is, or how active we are. This is because function grip strength is important in even doing everyday tasks like trying to open a jar, or being able to grab food off of a shelf. The overall grip strength in men has declined as of late, which is mainly due to changes in the workforce. Most jobs today are in the service industry as opposed to traditional labor jobs, which in turn accounts for this change. 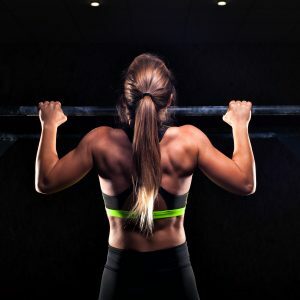 With that being said there are many different ways in which you can improve your grip strength which is going to allow you to lift more weight at the gym, and have an easier time with other tasks you do regularly. How Does Grip Strength Impact Lifts? No matter how hard you train a specific muscle group, your progression is going to be dependent on your grip strength to one degree or another. This is especially true for upper body exercises, as most lifts which work the upper body involve using dumbbells or a straight bar. If you aren’t training your grip along with say your shoulders for example, you are inevitably going to reach a point where your wrists and hands aren’t going to be able to support the weight you’re pressing. Until you adequately improve your grip strength, you are going to be stuck in this stagnated position and your gains are going to suffer. It is also important to know a little bit about the anatomy of your arms, wrists and hands to understand how grip strength works. It involves the use of over 35 muscles mainly found in the hand and arm, all of which perform a role in grasping. This means that not only are there many different exercises you can be doing to train your grip strength, but plenty of variations within them as well. 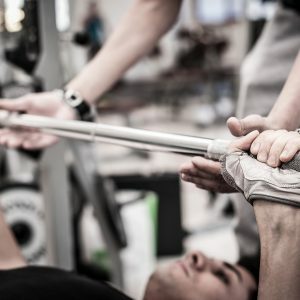 What Exercises Improve Grip Strength? You can find this piece of equipment at pretty much any gym you go to, if you gym doesn’t have one or you don’t belong to a gym, you can easily make one yourself. This device consists of just a piece of rope, a handle, and a weight. If you need to make this yourself, you can just cut down an old broom handle, take the rope and wrap one end around the handle. Take the other end, wrap it through the weight and you’re good to go. If you’re really ambitious, you can drill a hole through the broom handle to thread the rope through to make wrapping the rope around the handle easier. To do this exercise, you want to be standing on an elevated platform so that you can make the most use out of the length of the rope, the more length you have, the more difficult the exercise. You then just twist the weight up using the handle, until you come to the end of the rope. This seems like an easy exercise, but it is a great burner to add at the end of your arm routine to improve grip strength. Pushups are another excellent exercise you can use to improve grip strength, and it is an exercise that is easily modified to adjust the difficulty to your need. Traditional pushups aren’t going to do a lot for your grip strength, however there are some variations which can make all the difference. A second variation is called fingertip pushups, which are of course done using the fingertips. This variation is an excellent one when it comes to the development of hand and finger strength. Using a towel to do a pull up instead of a traditional one where the hands are in contact with the bar is another way to develop grip strength. To do the towel pull up, all you need are two towels which you will throw over the bar, both ends being at an equal distance. You then grab one towel with each hand, which is going to significantly modify the exercise. Doing pull ups this way is going to put a good amount of the stress on your forearms, which will give you a burn like never before. This is another exercise you should save till the end of your routine if you’ve never tried it before because your arms will be shot afterwards. The sledgehammer is the perfect tool you can use to strengthen your grip, as it involves the use of the arms, hands, wrists and can give our core a good workout as well. This is something anyone can do to work on their grip strength, no matter if they have a gym membership or not. If you don’t own a sledgehammer and an old tire to slam it against, it definitely isn’t going to break your bank to get them. You can pick up a sledgehammer for about $30-40 dollars, and can get an old tire for free. It will be well worth it considering the benefit you’ll see to your forearm strength, core strength and of course, grip strength. Any Other Grip Training Tips? Keep in mind that the forearm muscles, where most of our grip strength comes from, are extremely dense tissues. This means that you can get away with training them more often without significant fatigue as you would see with other muscle groups. Save your grip strength training towards the end of your routine, as this will help you conserve energy to work other muscle groups you don’t focus on as often. Remember to do your grip training exercises every day to speed up your progression.